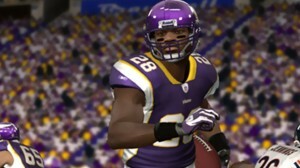 Adrian Peterson will be a key factor in this week’s game. The Cowboys are coming off one of their most impressive wins this season. They defeated the Rams 0-34, the win extended their win streak to 5 in a row and are tied in wins and losses with the 1st place Redskins 10-2. The Vikings are in first place in the NFC North with a record of 9-3. They won last week on the road versus the San Diego Chargers 35-14. Vikings head coach Corey Girtz made his coaching debut last year with the Oakland Raiders.